Well known to Friends because of his popular tours of the NCTC Archives, Mark Madison, will give us a brief history of the U.S. Fish and Wildlife Service and explain how history aids training and student experience at NCTC, how and why "historians control the future, " and why the history of NCTC is important to all of us. 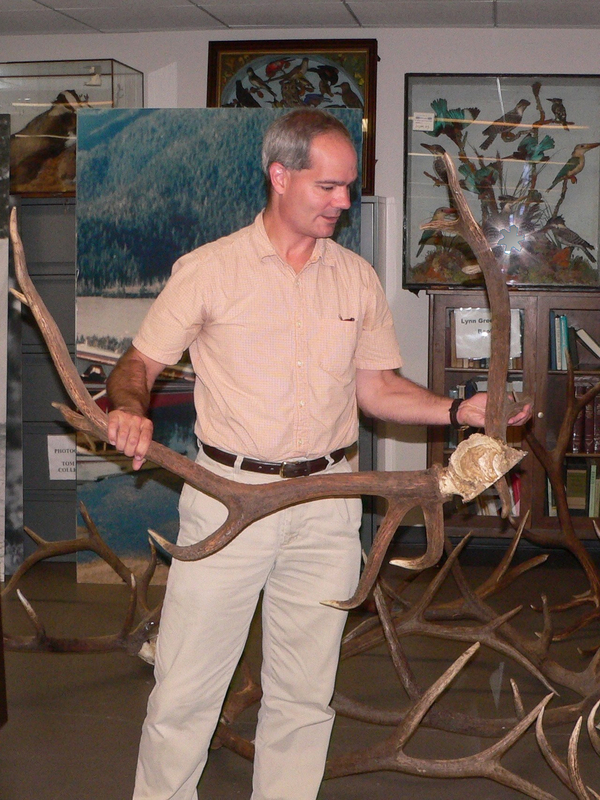 Mark Madison was the first FWS Historian hired by the Fish and Wildlife Service in 1999. Madison helps coordinate all national heritage outreach in the FWS and also helps run the NCTC Museum/Archives on site in Shepherdstown, WV. He has undergraduate and graduate degrees in History and Biology and a Ph.D. in the History of Science from Harvard University. Prior to working for the FWS Madison spent 3 years doing tropical reforestation in the Philippines for the U.S. Peace Corps and was junior faculty at Harvard University and the University of Melbourne (Australia).